Design International, an innovative architectural practice with vast experience on a global scale, recently shared insights into the factors that shape successful community places, from innovative design to the economics of developments at a major event in Cannes, France. 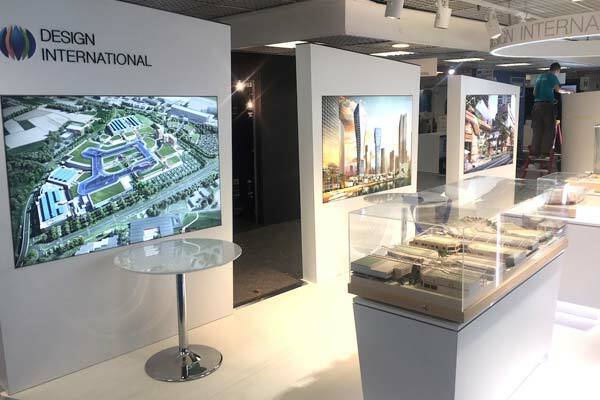 Design International has been successfully creating places for communities for over 50 years and visitors to MIPIM, the world’s leading international real estate exhibition, had an opportunity to view examples of the practice’s recent work in the UAE and other countries. From the UAE, Design International presented a range of projects including the retail and leisure destinations of Avenues Mall, Sharjah; and Silicon Oasis, Dubai, both of which are currently under construction and due to open in 2019 and 2020, respectively. Also on display was Reem Twin Towers in Abu Dhabi, a mixed-use development that integrates retail with organic forms and dynamic living spaces, providing a refined modern masterplan for the community. Other exemplary projects showcased by the practice were the striking model for a new, innovative mixed-use development in Izmir, Turkey, which attracted a great deal of attention; Maximall Pompeii, the new retail resort that is a key landmark in the major redevelopment programme for this historic Italian city, widely considered one of the most important archaeological destinations in the world; and Caselle Open Mall, the new urban icon of Turin. Unique in Italy, this innovative development, which provides a special blend of cultural visitor attraction with commercial and public space, will be the catalyst for economic growth for years to come.